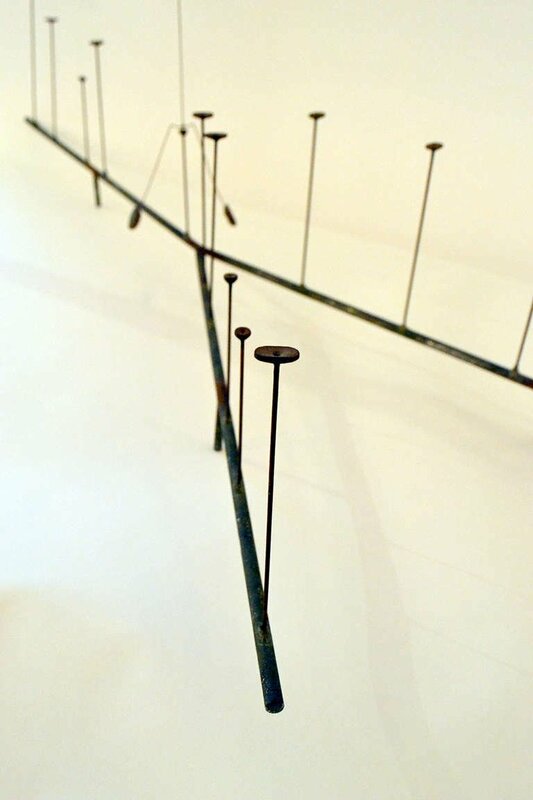 An early and rare Kinetic sculpture by Harry Bertoia. 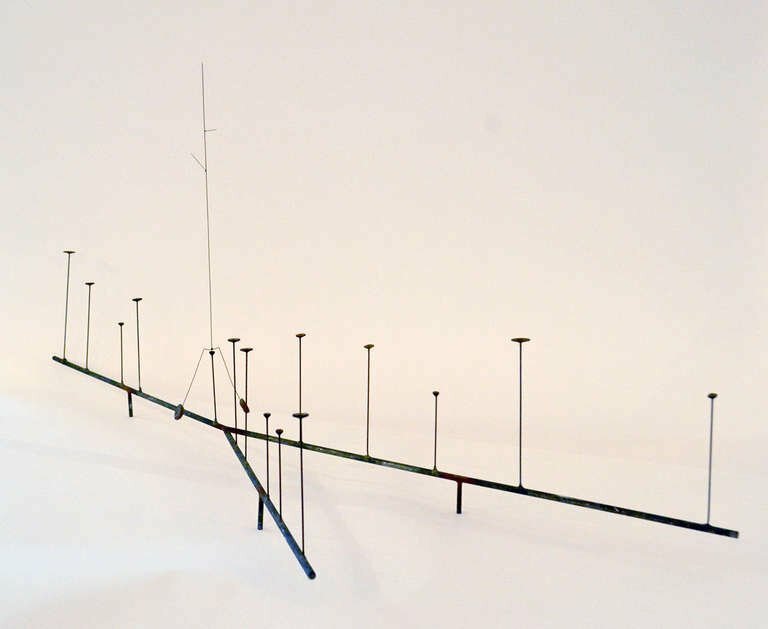 The sculpture is made of steel rods with smallish sprouts that seem to grow from the structural base. There is a delicate Kinetic element that can be placed upon the sprouts which balances and activates the sculptures mobility.